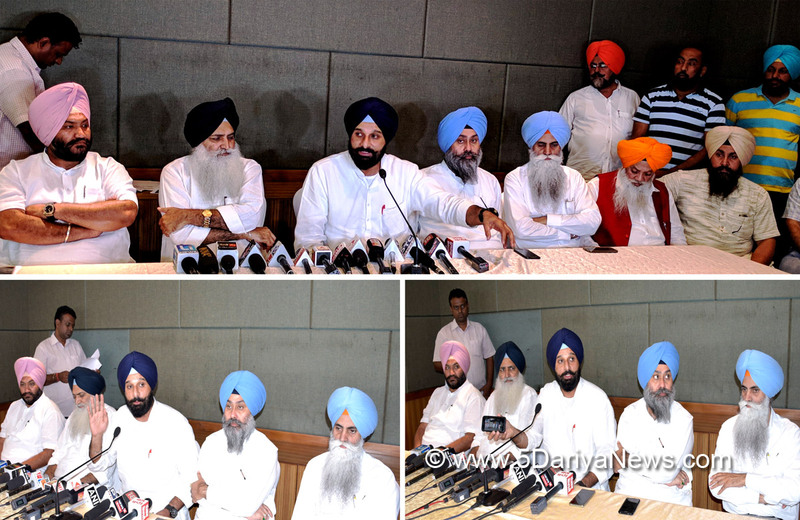 Former minister and senior Shiromani Akali Dal (SAD) leader Bikram Singh Majithia today said Congress goons had let loose a reign of terror in this as well as other constituencies in the Majha region by intimidating block samiti and zila parishad candidates and there was every possibility of large scale rigging and violence on voting day tomorrow.Addressing a press conference here, Mr Bikram Majithia enjoined upon the Akali rank and file to participate in the democratic process in a peaceful manner and record all wrong doings of the Congress party so that the SAD could take recourse to legal action.Stating that the Congress party had imposed an Emergency like situation in the State, the Akali leader said the situation had become such that the Congress was even getting cases filed against victims of repression. He said two days back after the son of a dalit candidate was insulted and another was dragged by his beard at Chaugawana Saadpur village in Majithia, he had personally led a dharna in front of the Jandiala Guru police station to demand justice in the case. “Though a case was registered under section 295 A and we were assured other sections would also be taken into account, today a cross case was registered against the victims under the SC Prevention of Cruelty Act”.Stating that Congress leader Lalli Majithia and his nephew Akashdeep were behind this incident, the Akali leader said party candidates were also stopped from campaigning and women candidates were being threatened that cases would be registered against their husbands if they showed active interest in the election process.